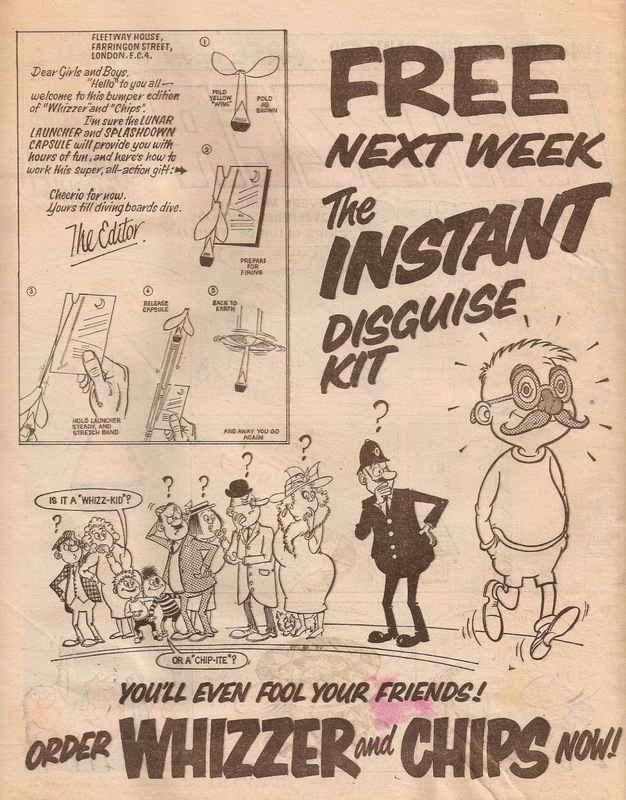 A gift that has popped up once or twice in the Fleetway comics is the 'Instant Disguise Kit'. 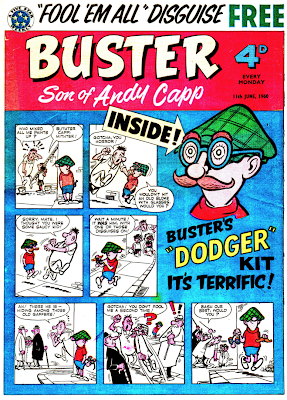 As far as I'm aware, it was first given away free with the issue three of Buster. 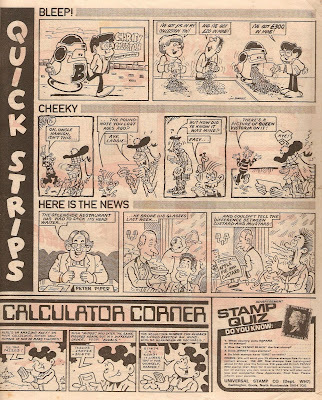 There was a rather humourous and downright silly themed strip on the cover that week. 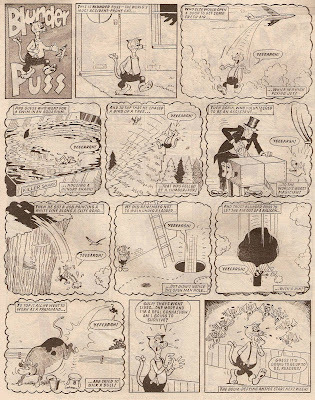 Here it is as drawn by Bill Titcombe, Buster's first, but short-lived, artist. 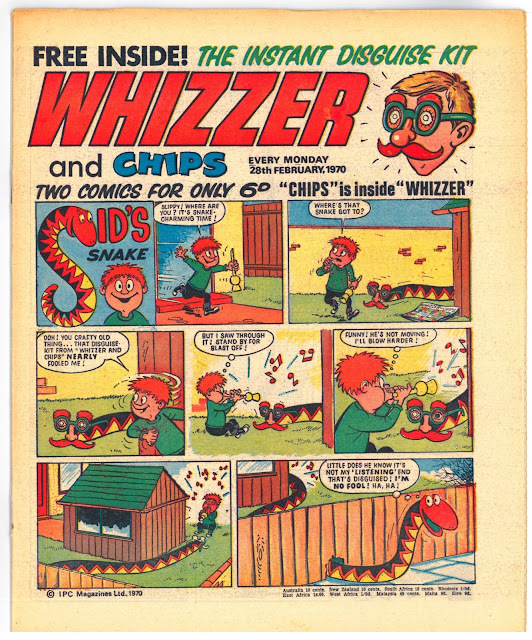 The gift could apparently "fool 'em all", and even "fool your friends", according to an advertisement in Whizzer and Chips almost a decade later in February 1970.
cap removed and replaced with spiky hair. 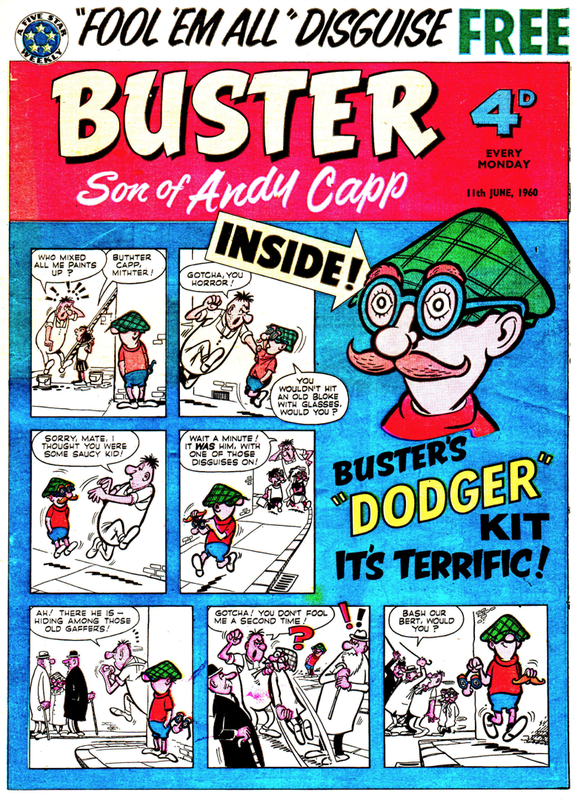 Just like Buster had back in 1960 the front cover characters, Sid and Slippy, get up to some fun with the mask. 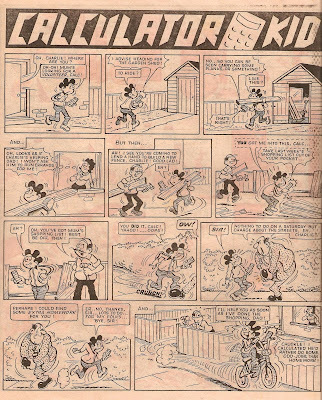 Unfortunately I don't own an actual copy of this issue but I have got a scan of it thanks to Andy Janes! Cheers Andy! Artwork here is by Mike Lacey. 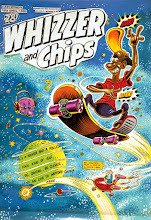 Shiner also got up to some fun with the kit on the front cover of Chips. 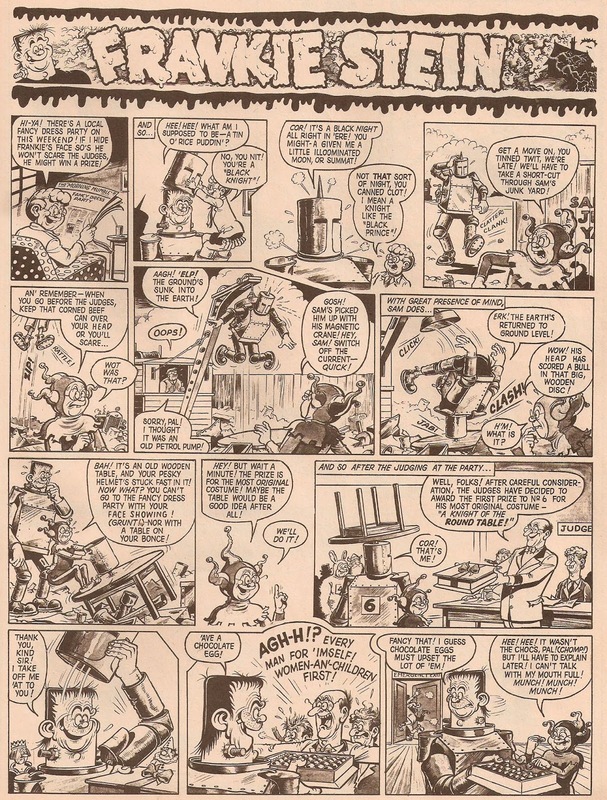 Once again, thanks for Andy Janes for the scan. As you can see - they would fool anybody! The front cover for issue #100 of The Phoenix has been released, and here it is! It's shiny too; all the gold bits you see shine bright! 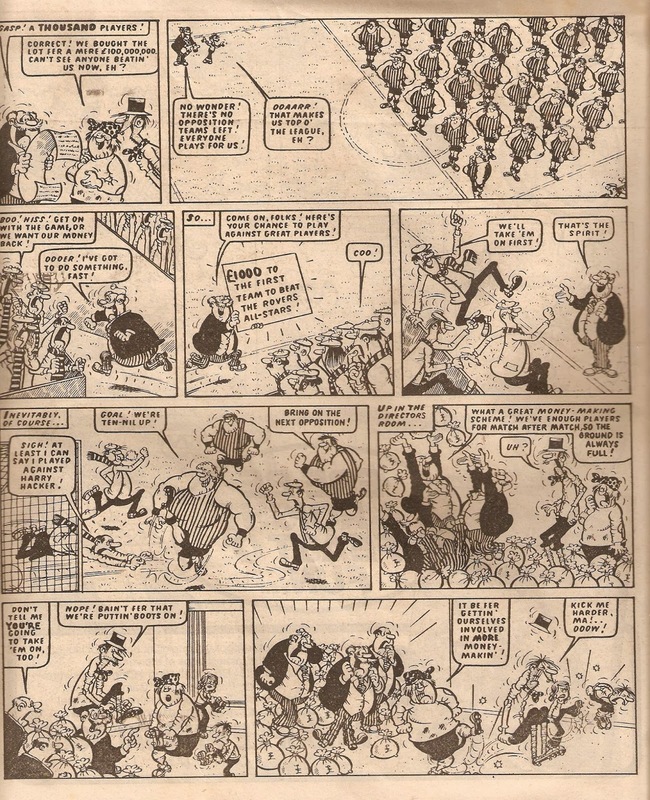 It also has 16 extra pages but remains at £2.99! You can get it tomorrow from various stores around the country! You can also buy it from the Phoenix online store. 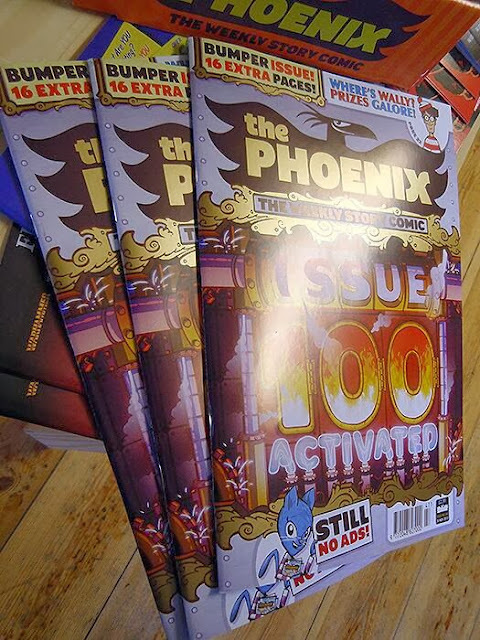 Phoenix Issue #100 Out This Saturday! 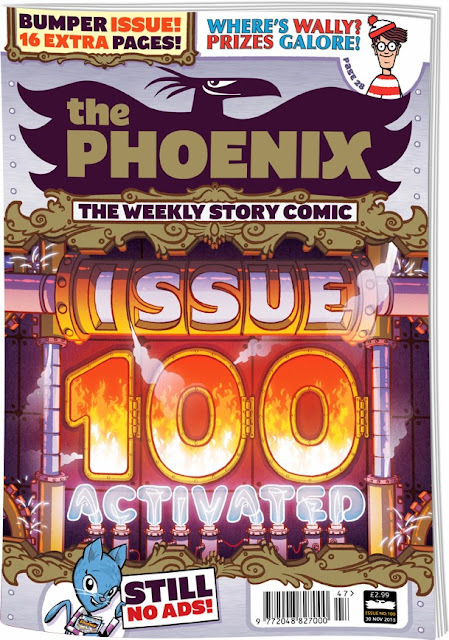 It only feels like yesterday when the free preview issue (or #0) of The Phoenix arrived through my letterbox but time flies and the comic's 100th issue will go on sale this weekend! 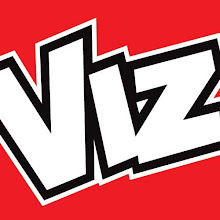 The special celebratory issue will be a bumper issues, not quite double but it will have 48 pages - 50% larger so hopefully that's 50% more comic fun! 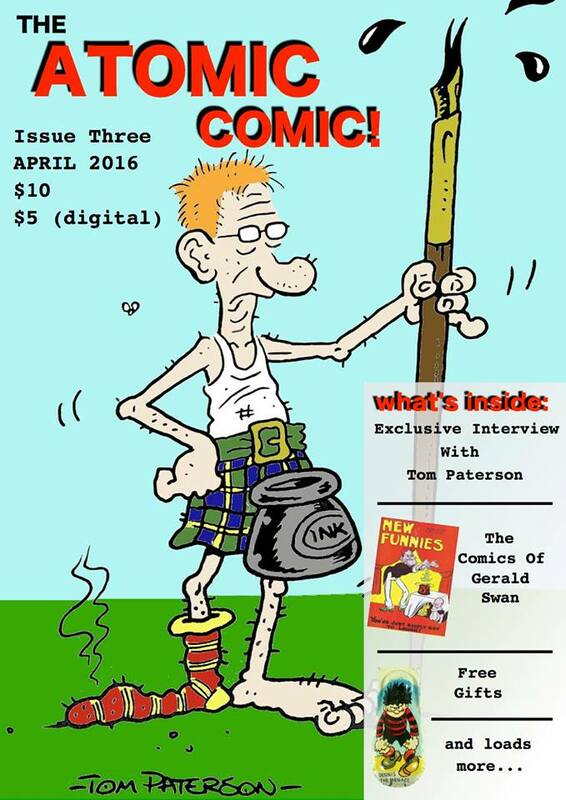 Even if you're not a regular reader of The Phoenix I'm sure this will be an issue you won't want to miss! There’s no word on the price yet but hopefully it will still be £2.99. I shouldn’t imagine it will be any more than £4.50 (if we add on another 50%), but that price seems unlikely. 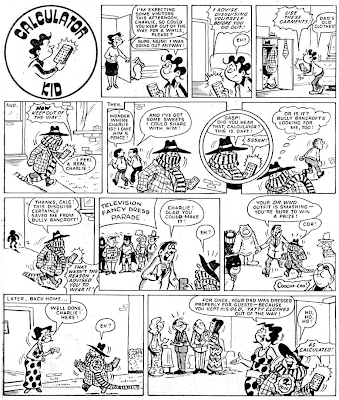 Creepy Comix was a fantastic strip about a kid called Davey with a bunch of comics called Creepy Comix, from which the spooky characters would jump out and help Davey get in and out of sticky situations. 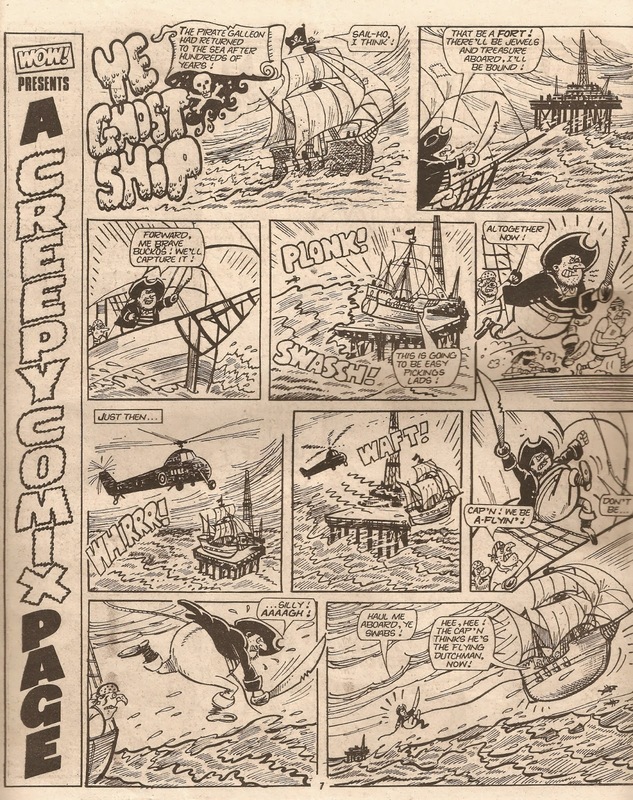 As you can probably guess there was never an actual issue Creepy Comix made but you may be surprised to discover that pages for them were produced! Yes, they weren't made to appear in Creepy Comix themselves but actually made to appear in Wow. There are various character from various artists, here are just a few of them. The Tale Of Two Toms! It's good to see this crossover between two characters, especially in a fun twist like this. 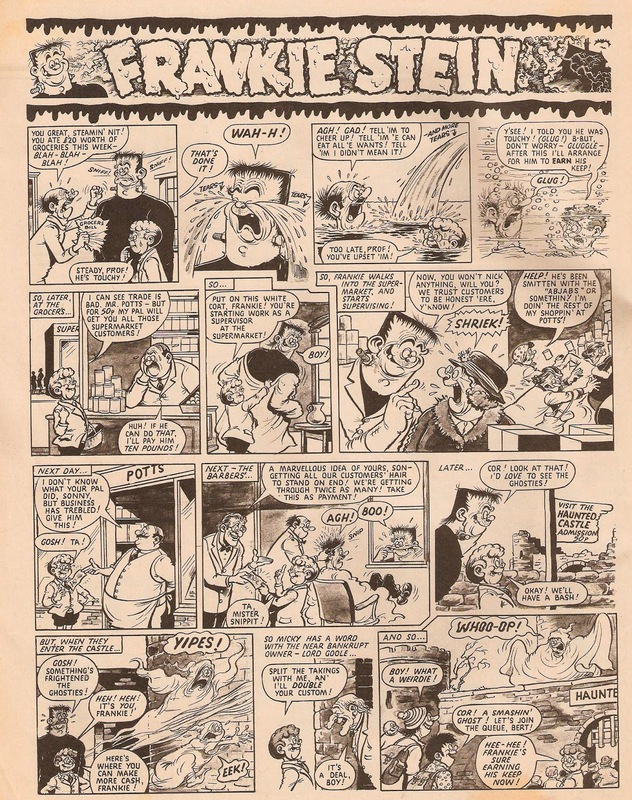 The artist here is Lew Stringer, who also drew Pete's Pimple and Vampire Brats. 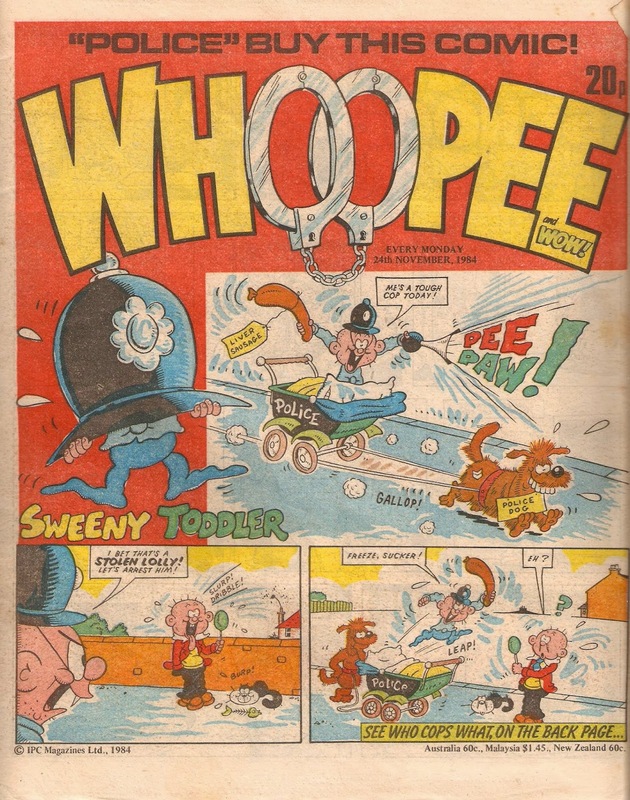 This Week In: 1984 - Whoopee! 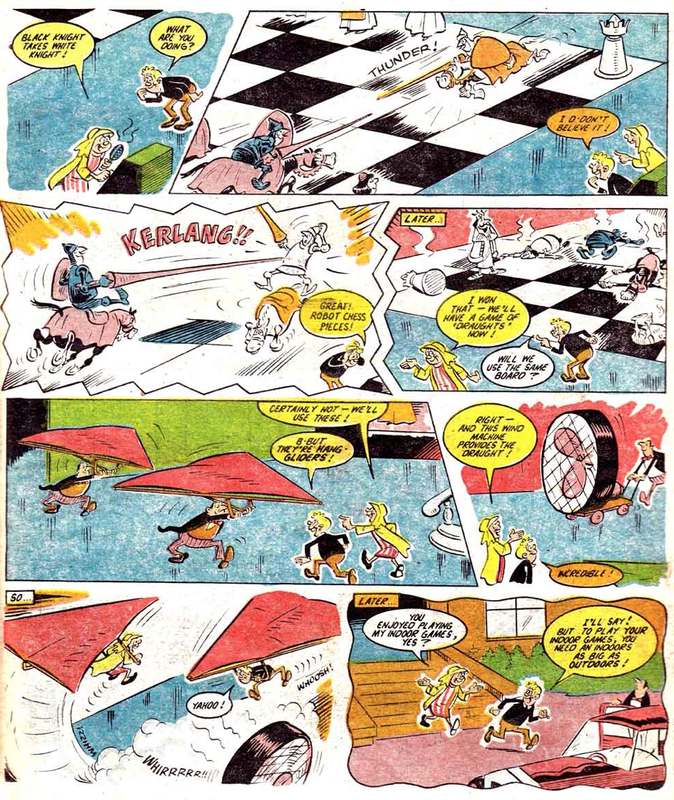 Time to head back to the 1980's, a period when the Fleetway comics (at least, the ones that were around or starting) were at their greatest! Today we'll be looking at the issue of Whoopee and Wow that went on sale this week in 1984 - almost 30 years ago! 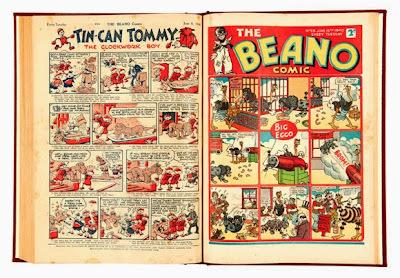 The cover character is Sweeny Toddler and this particular episode (illustrated by Tom Paterson) will have you laughing out loud! It did with me anyway... (look at the wanted poster on the fifth panel on the second page). 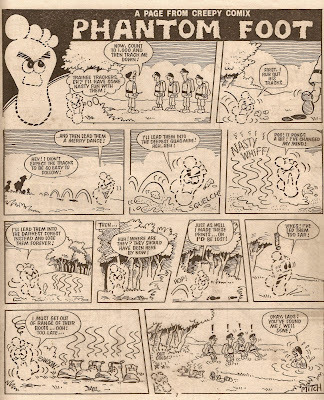 Moving inside and let's take a look at Creepy Comix. 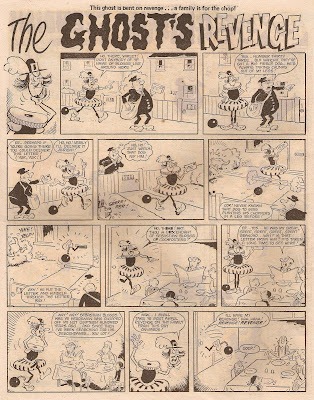 This strip was illustrated by Reg Parlett and I've always enjoyed the thought of the creepy characters coming to life from Davie's comics so the strip always had a lot of appeal to me. One thing I can't help but noticing though, is that the ghost looks an awful lot like Harry from Harry's Haunted House. 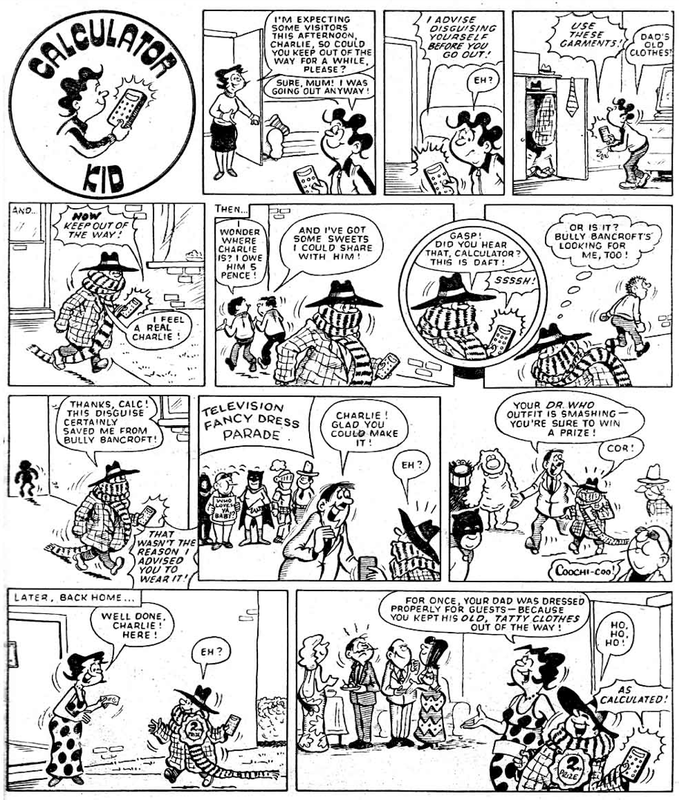 Maybe the landlord finally kicked him out and he found refuge in a Creepy Comic? 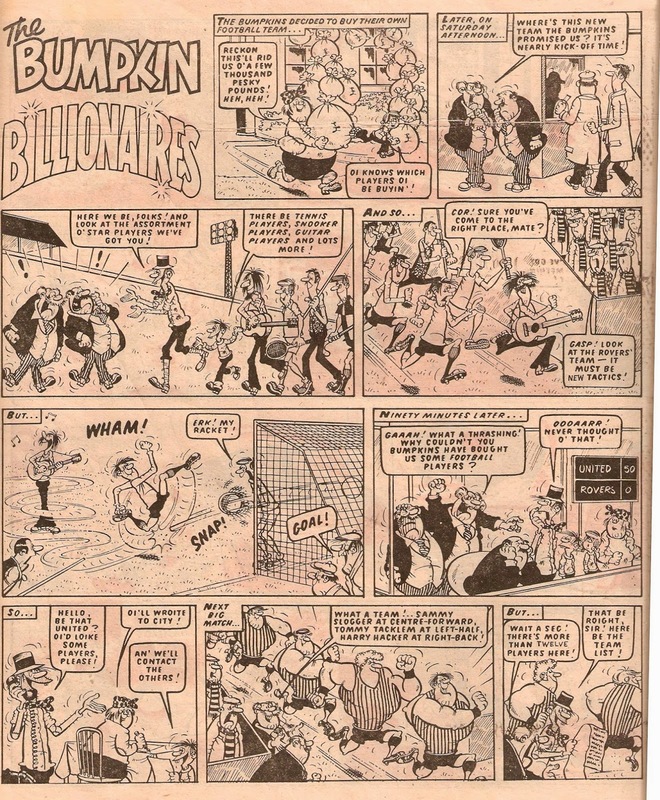 Next up is The Bumpkin Billionaires, illustrated by Mike Lacey. 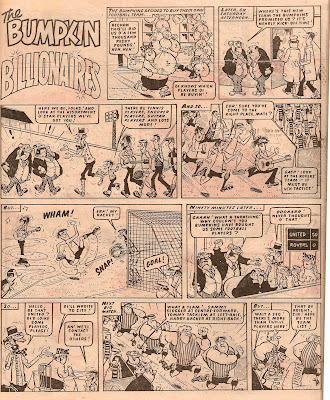 As always, they think they are losing money so they can go back and live the simple country life, but in natural comic style it doesn't all go to plan. 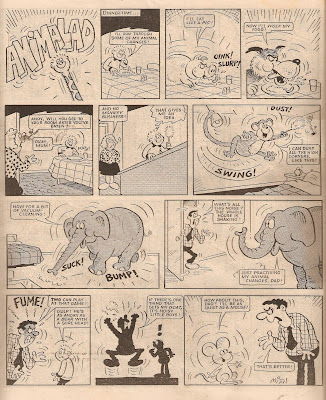 A particularly strange strip is Animalad. 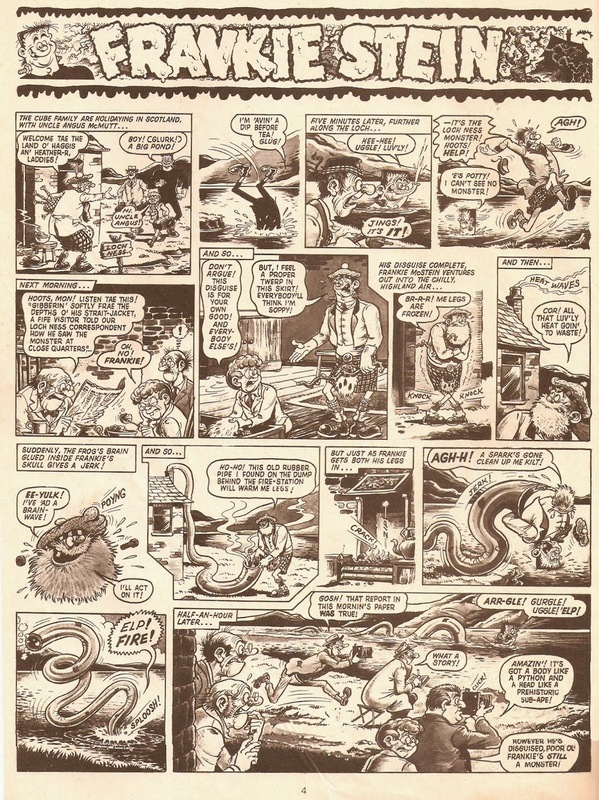 Illustrated by Roy Mitchell, this strip follows the adventures of Andy who can turn into any animal he wants at will! 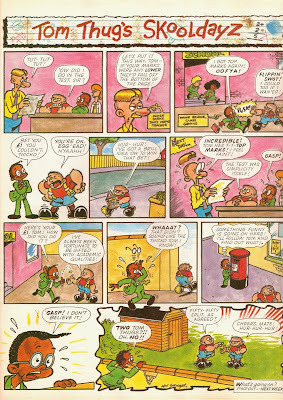 Definitely amongst the crazier strips in British comics! 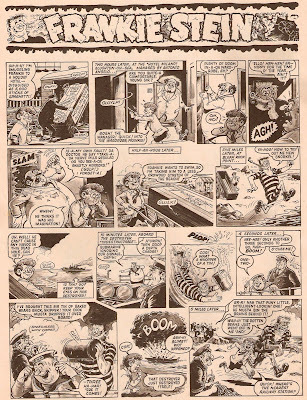 Always enjoyable, but crazy just like Animalad, is Calculator Kid, illustrated by Terry Bave and the comic strip that is home to the finest moustache in comics! Or is it a caterpillar? Find it, and decide for yourself! 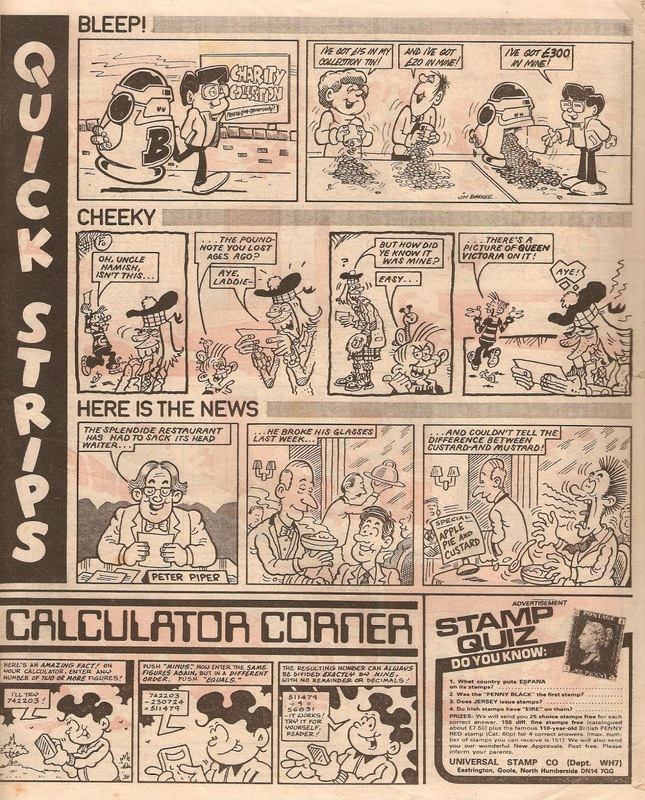 And finally, here's the Quick Strips from inside the back cover, featuring Bleep!, Cheeky, Here is the News and the try-it-yourself Calculator Corner. 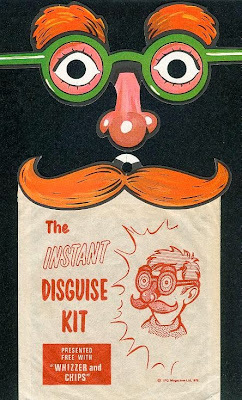 Go on - try it yourself! 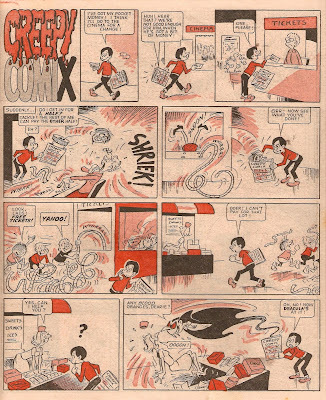 I've just finished reading the latest Dandy annual and I must say - it's a cracker! It's over 100 pages for just £7.99, so I highly recommend buying a copy. 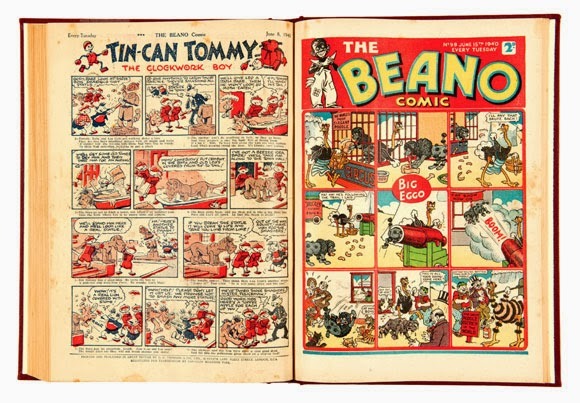 If you're saving it as a treat until Christmas, stop reading now. It's great to see a good number of classic characters in the lineup. There are a few that really stood out for me, the first being Winker Watson illustrated by Will Dawbarn. 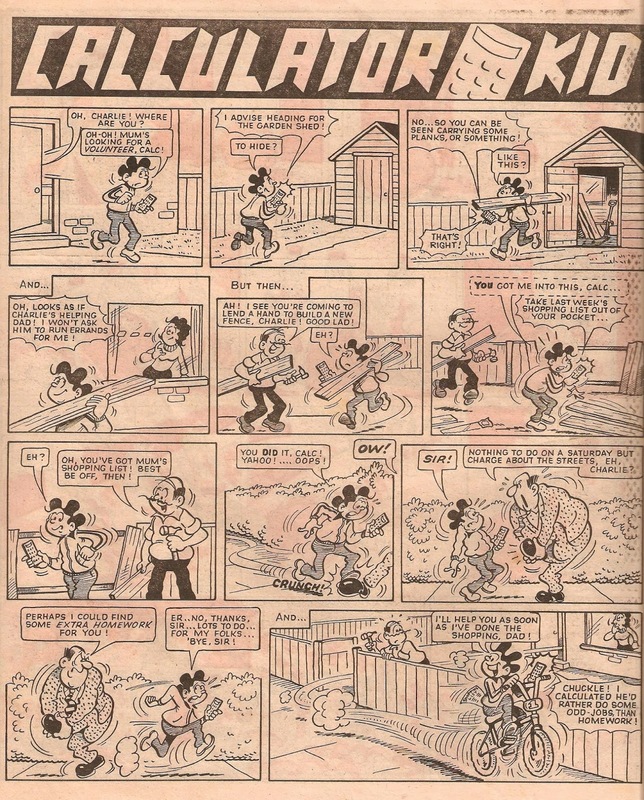 If the weekly comic was still around this would definitely a strip I'd like to see in it, in this format and two pages long! Another character that really stood out was Big Bang Benny. I'm afraid that I can't identify the artist but whomever it is they've done a fantastic job on it. 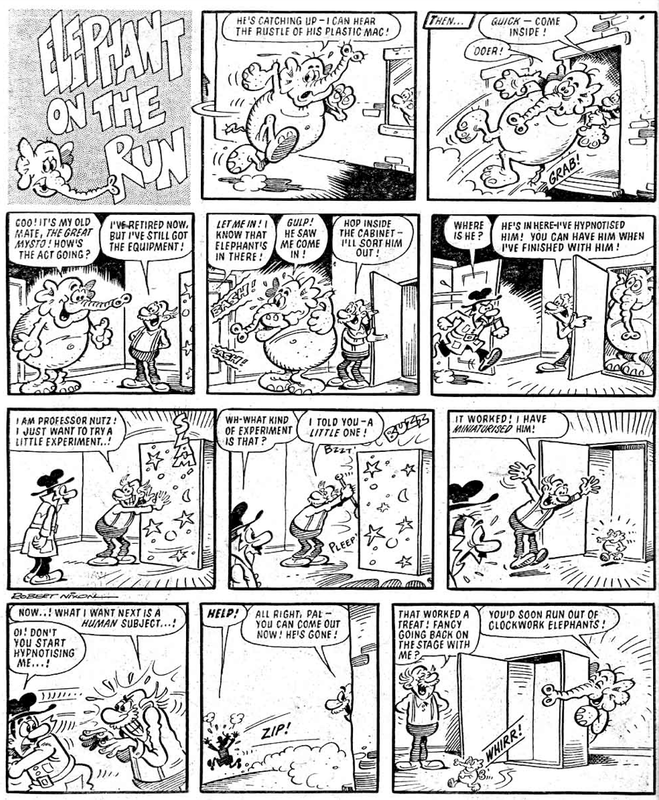 They didn't try to draw in the style of Ken Reid but in their own style that looks absolutely fantastic, hopefully we see more from him/her in the near future. 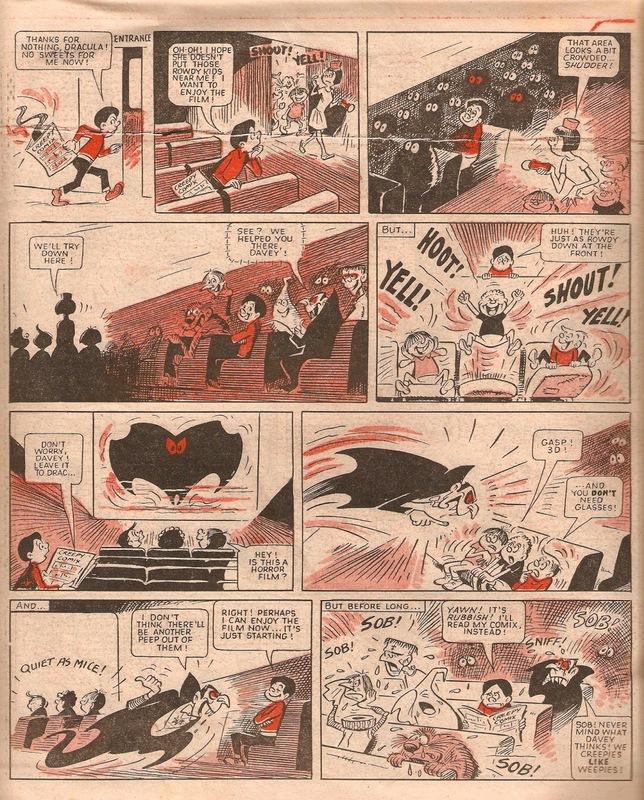 My favourite story in the whole annual was the eight-page Jack Silver adventure, illustrated by Will Dawbarn. 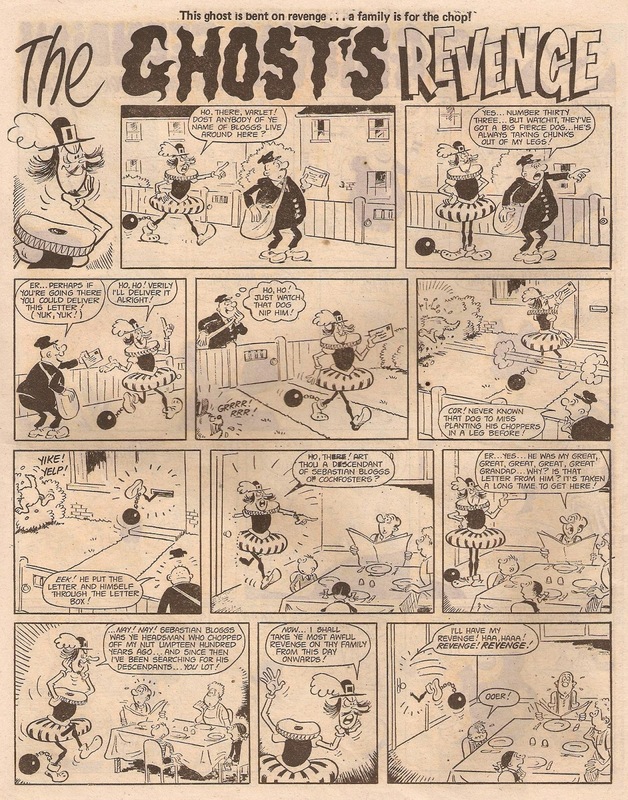 Like his Winker Watson, this was coloured in the classic style. 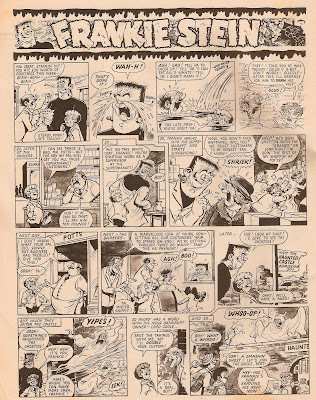 And finally, I was pleased to see the return of Nigel Parkinson's Banana Bunch, even if it was only for one strip towards the back. This book is a definite improvement on last year's already great Dandy annual. £7.99 is nothing for the fantastic content and if you weren't previously planning to, I recommend giving this year's annual a try. Hopefully I'll be writing a review for The Beano annual soon, once I've bought and read it. The Compal Comics 2013 Winter Catalogue is online now and it kicks off with a collection of 64 copies of Ally Sloper's Half Holiday at lot #1. 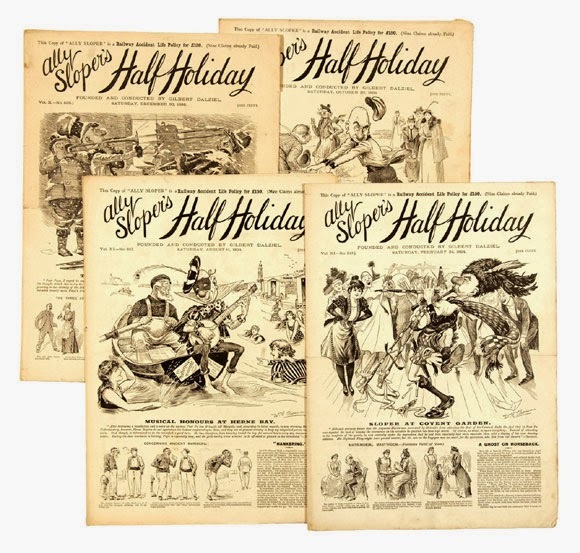 The issues range from 1893 - 1894 and are all in Vg - Vg+ condition, and are expected to sell for £140 - £180. 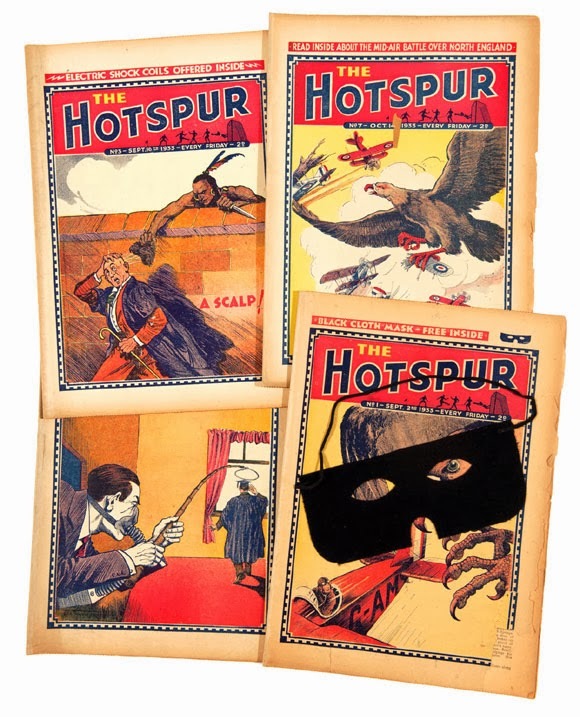 At lot number #5 we see a collection of Hotspur comics, the first 11 of them including the free gift that came with issue #1! The collection is expected to sell for £180 - £220. At lot #16 is a bound volume of Beano comics from 1940! 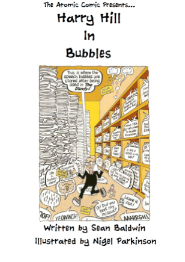 The issues included are #88 - #92, #94 - #96 and #98 - #100. 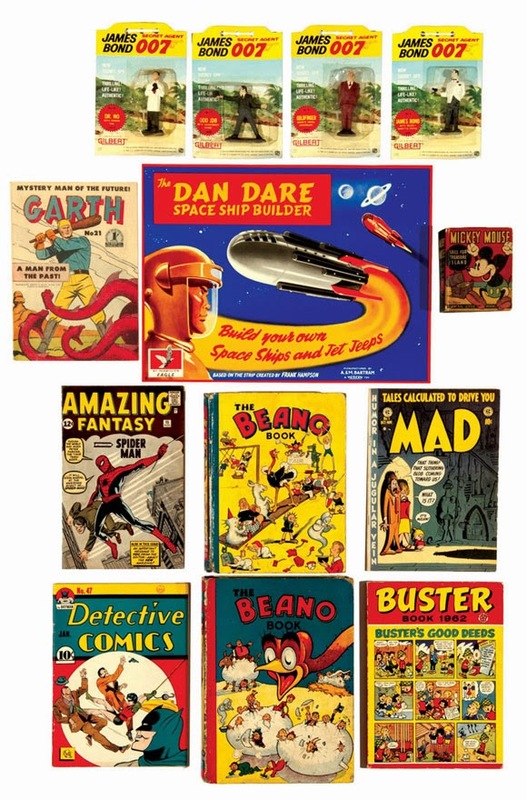 There may only be eleven comics but I'm amazed to see they still have a price tag of £450 - £550! Wow! 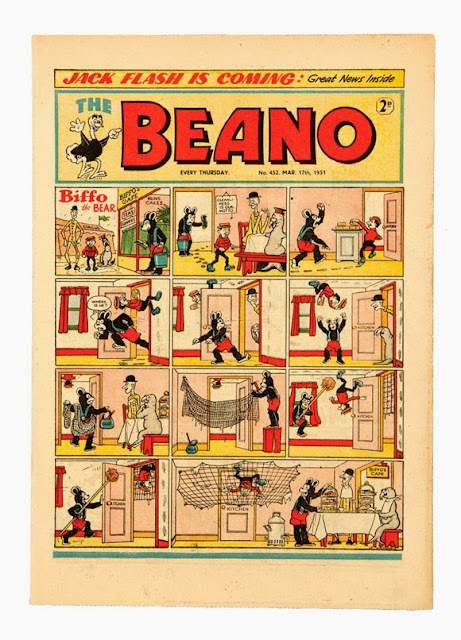 There's also a copy of the very first Beano book up for grabs. 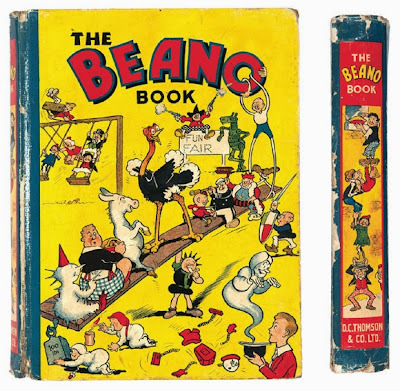 Graded to be in Vg condition, the book isn't cheap and comes with a price tag of £2000 - £2500! 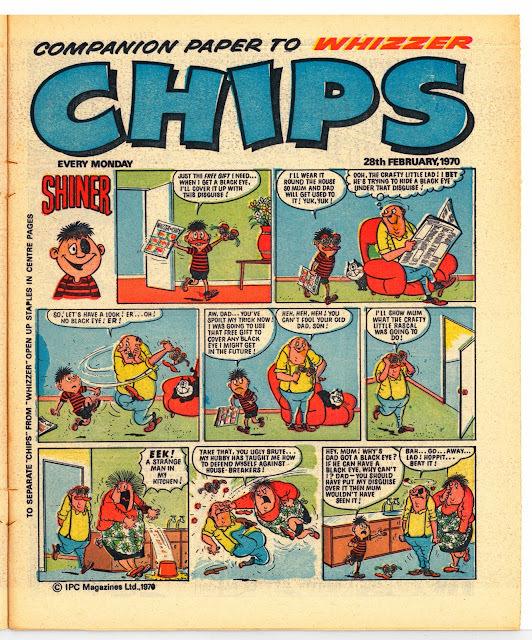 At lot #30 is the ever-sought Beano #452, the first issue to feature a Dennis the Menace strip, as illustrated by David Law. 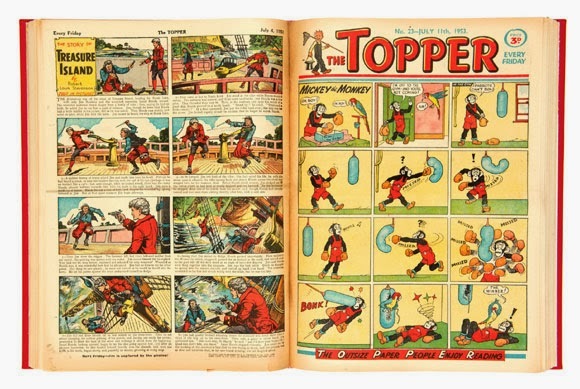 This issue is in great condition graded as Vfn, and has an estimate of £250 - £300. The first 51 issues of Topper in Fn/Vfn condition are up for offer in a bound volume. Unfortunately, like so many others they're out of reach for anybody who just wants to read them as they are expected to sell for £450 - £550. This is an interesting piece - the original artwork for the header of TV21 and Joe 90 comic, which was copied and stuck onto the front cover each week. 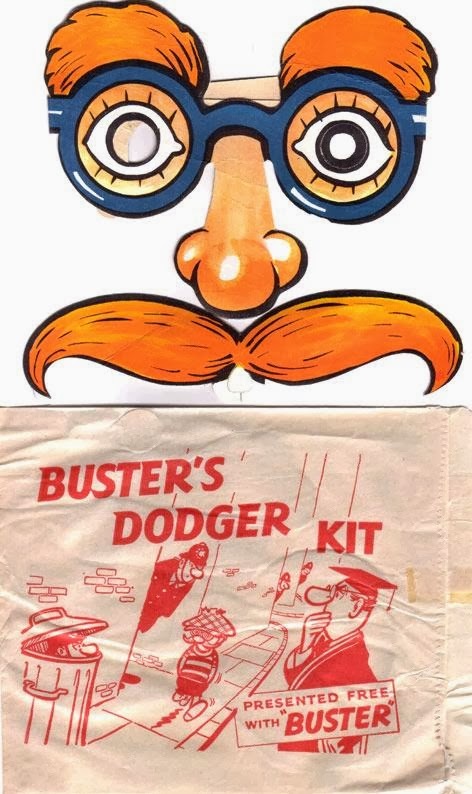 An interesting little item which is expected to sell for £60 - £80. 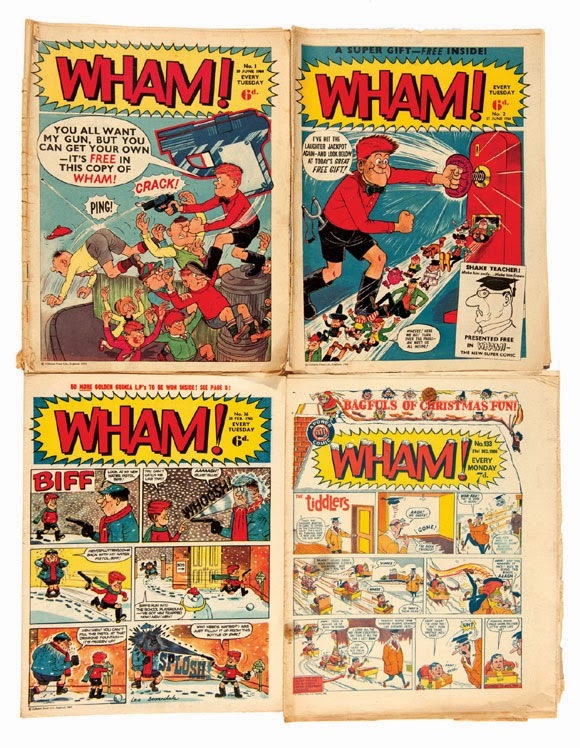 Lot #100 is the one I'd buy if only I had the money - 84 issues of Wham!, ranging from #1 - #133. Unfortunately, it would take some saving up as it is expected to sell for somewhere from £180 - £220. There's all this and plenty more over in the latest Compal Comics auction. Bids are accepted until 8PM (UK time) on Tuesday 26th November. 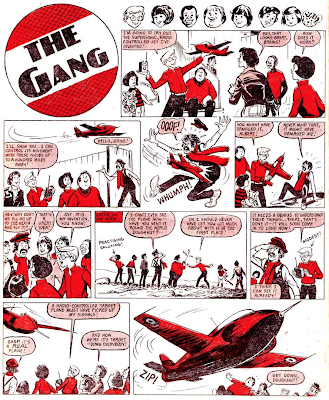 It wouldn't be true to say I haven't posted any Ken Reid strips on this blog as I have posted a good number of them, but it would be true to say I haven't posted enough, and probably never will, unless I somehow scan and show every single strip he ever drew! 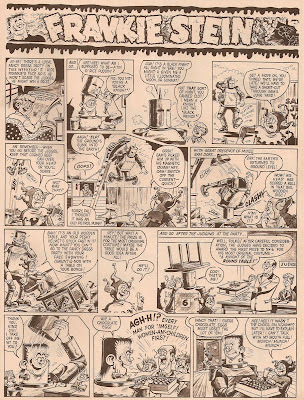 That's why this post is here, to show some Frankie Stein strips which are considered by many to be his finest work, just like all the stuff he drew in the Power comics. 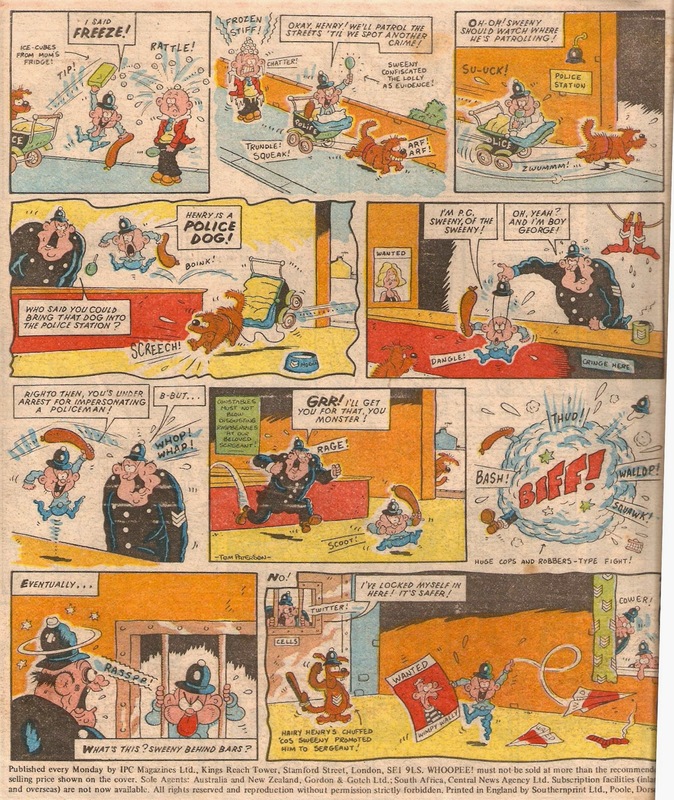 Anyway, that's enough of me babbling on, here are the strips! 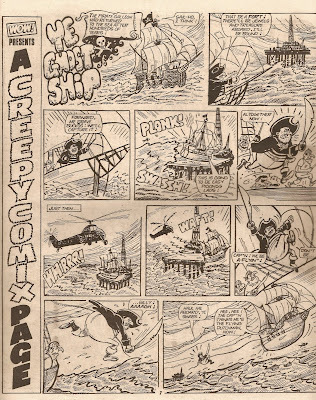 The issue of Shiver and Shake dated 13th April 1974 came with a strapline almost as big as the title: "2 Great New Fun Features - Inside!" 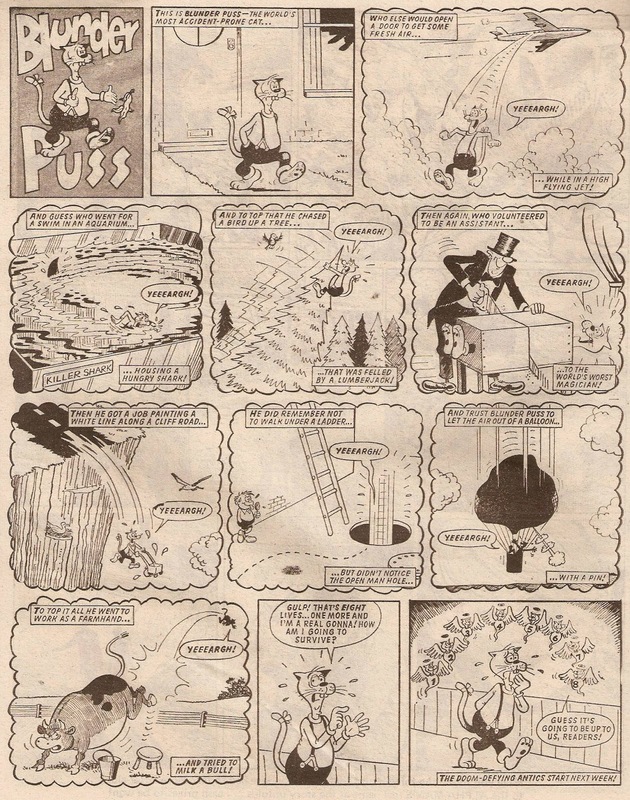 Those two new fun features were Blunder Puss and The Ghost's Revenge, the former appearing in Shake and the latter in Shiver. First up (going by order of appearance) is Blunder Puss. This unlucky feline had already lost eight of his lives from various idiotic accidents and only had one left - and it was up to the ghosts of his past lives to help him through any life-threatening situations. 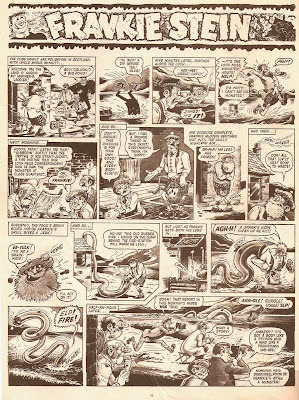 The artist was Jim Crocker, and it must be said that the story is a good one and is often hilarious, and although this origins strip isn't the funniest it's still good to read. 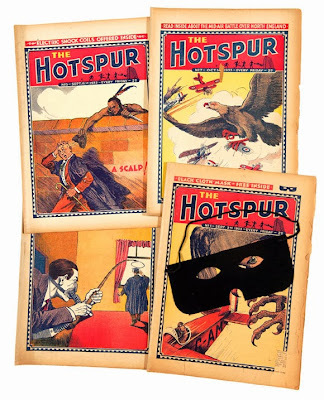 The Ghost's Revenge was about the tale of a ghost who sought revenge on the descendants of Sebastian Bloggs (of Cockfosters) for the chopping off of his head! 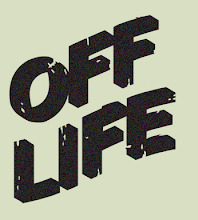 Naturally, his haunting failed to scare the Bloggs', but annoyed them more than anything. Jumping through walls was a strange way of seeking revenge, but who am I to argue with a several hundred-year-old ghost. 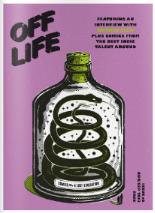 After all - the older the wiser (or so the saying goes...). 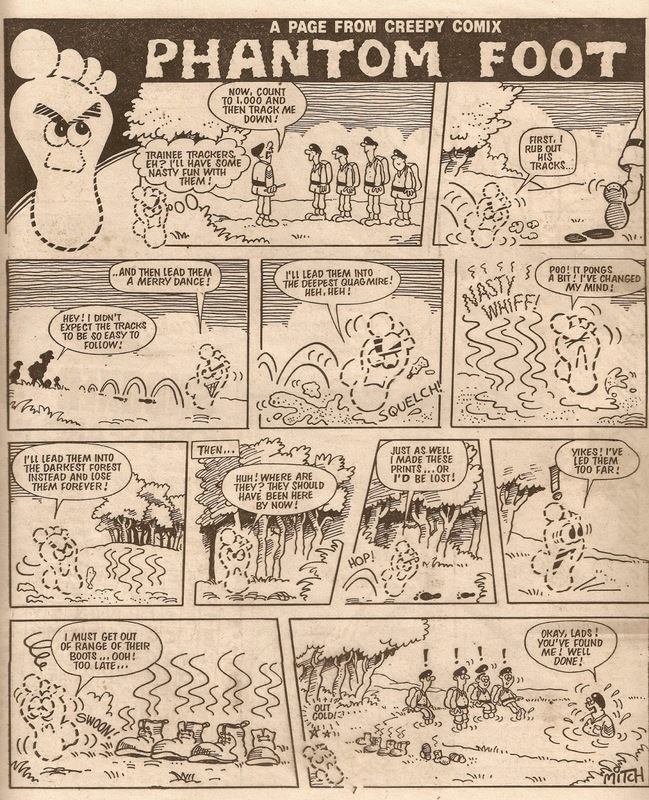 One good thing about many of Fleetway's comics was the fact that they came out on a Monday. Monday is the worst day of the week as it's the day everybody has to go back to work or, more suitably for a comic, school, so the arrival of a new comic on a Monday was very welcome, the perfect way to beat those "Monday Blues"! Cheeky was another of the comics that came out on a Monday, a cheery and cheeky way to start the week! 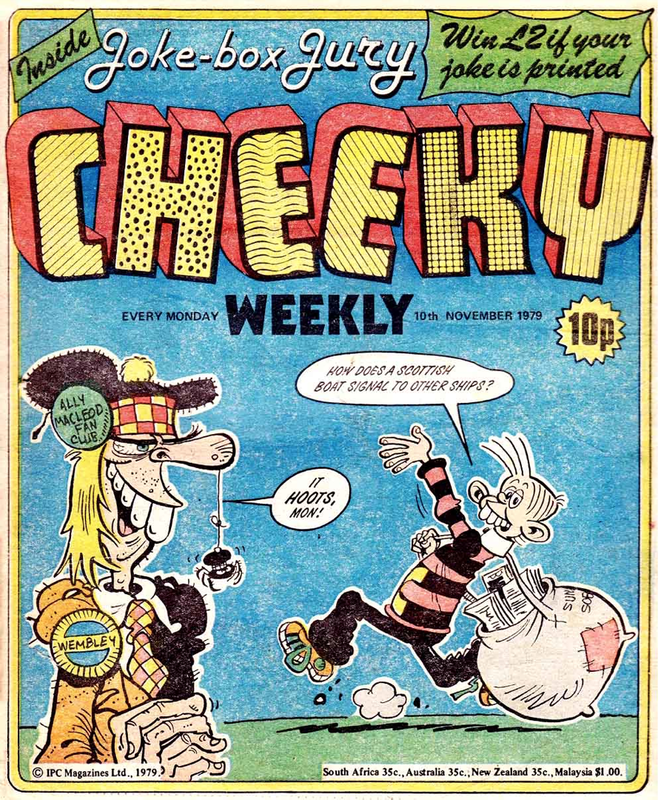 I'll start with none other than Cheeky himself. 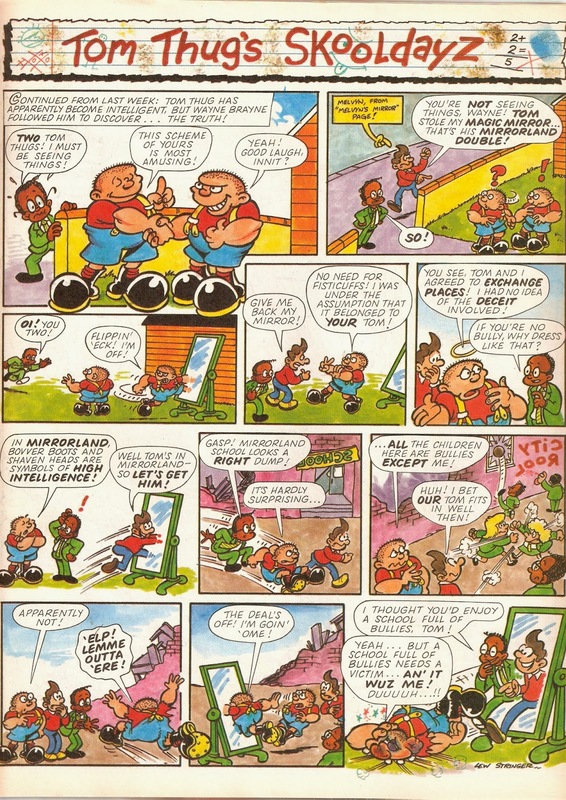 If you've ever read an issue of Cheeky you'll know that Cheeky's strip is split up into seven parts and each part appears separately throughout the comic. There is one part for every day, starting on Sunday and finishing on Saturday, but for sakes of space I'll only show the 'Sunday' page here. 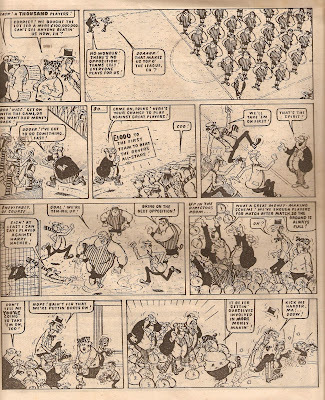 Frank McDiarmid had a heavy workload as he drew all of Cheeky's pages week in week out! 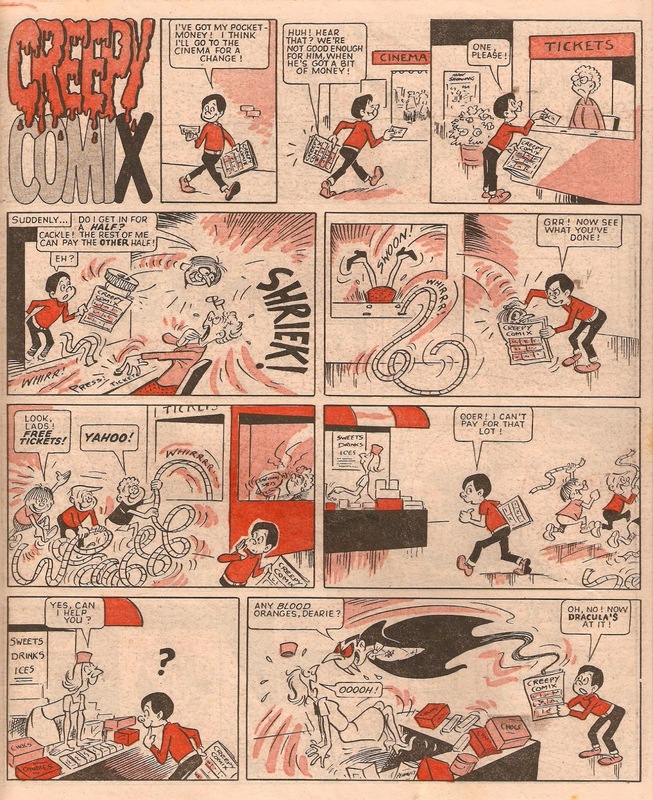 Next up is Charlie, who you will know as Calculator Kid! Charlie is very lucky in that he has a talking calculator for a friend (and yes, he had real friends as well) that could predict the future - a very useful tool in Charlie's life that almost always led him to collecting a nice cash reward! 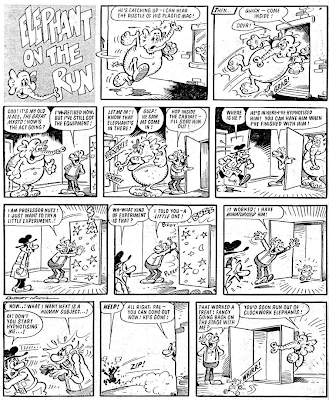 Terry Bave was the illustrator here, and the strip would continue for a very long run continuing for several years after Cheeky in Whoopee. 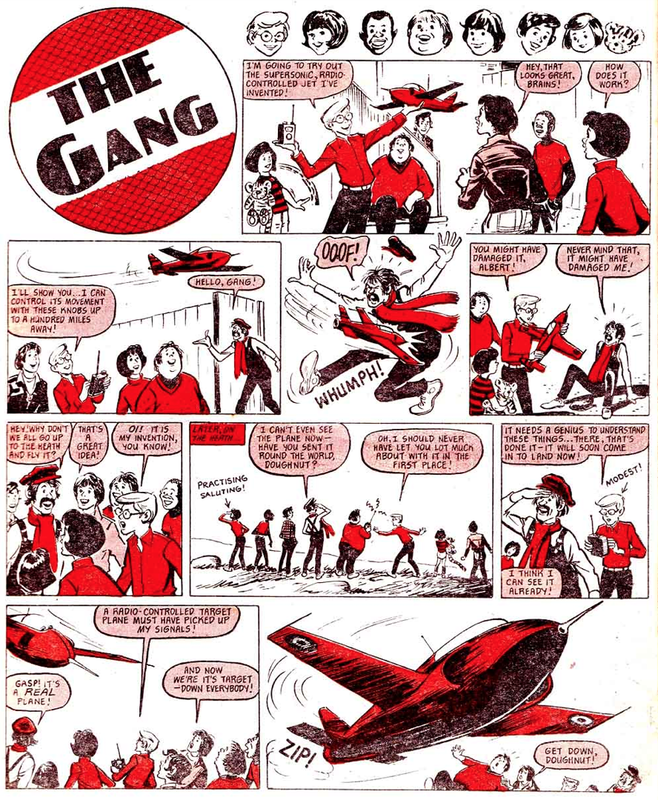 My favourite strip in this issue has to go to The Gang. Although it doesn't have the most creative name in the world, this is a very well written strip, and it's well illustrated as well although I'm afraid I can't say who the artist is. The Cheeky Weekly blog tells me that The Gang is in fact a (poorly retitled) reprint of the Double Deckers from Whizzer and Chips. 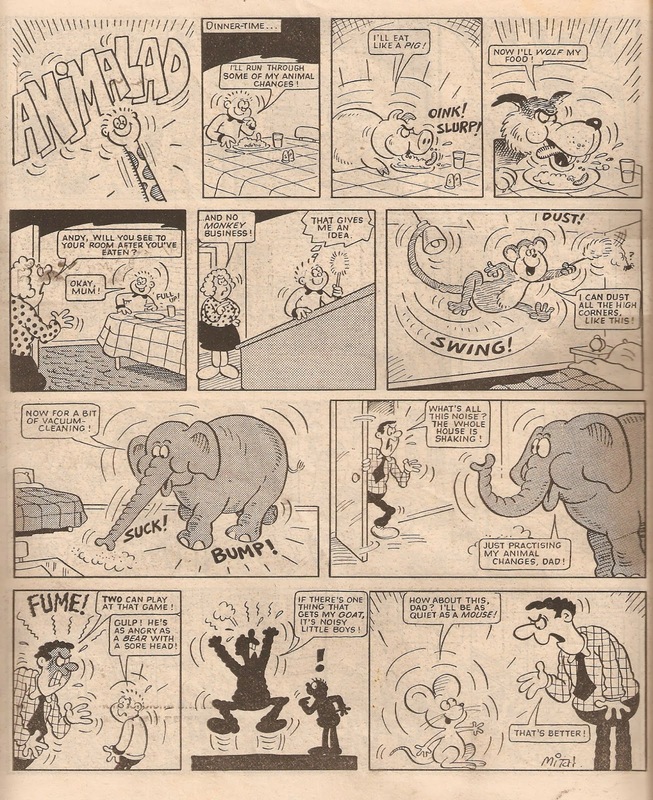 Next up is Elephant On The Run, a strip about a man in a plastic mac who, for some unknown reason, is trying to capture our friendly elephant, who has lost his memory and has no idea why he's wanted! 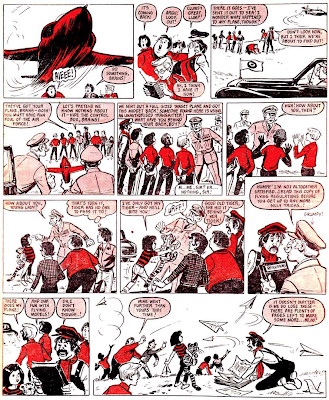 Bob Nixon is the artist. 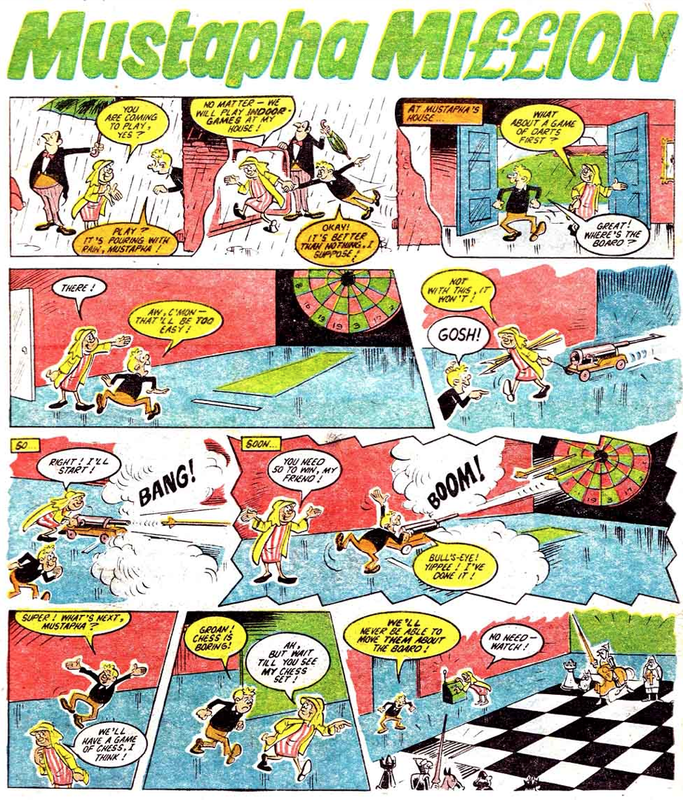 The fantastic Mustapha Million, a great and extremely popular strip illustrated by Joe McCaffrey, took up the centre spread. 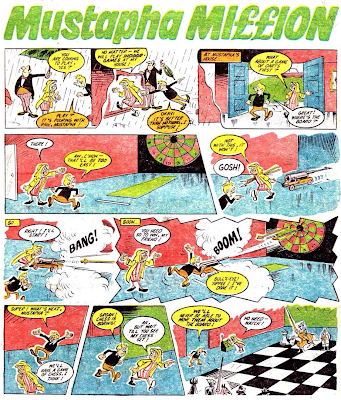 Obviously the title of this strip is supposed to sound like "must have a million", but really the young lad must be a multi billionaire at least! 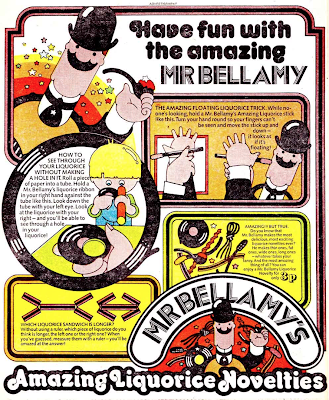 And finally, here's a queer advertisement for 'Mr. 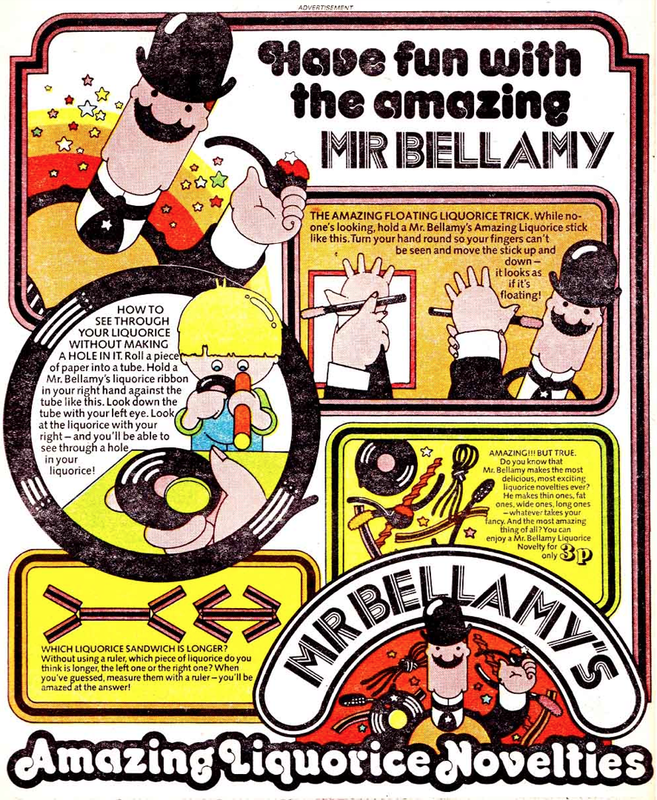 Bellamy's', showing all the (ahem) fun you can have with liquorice!